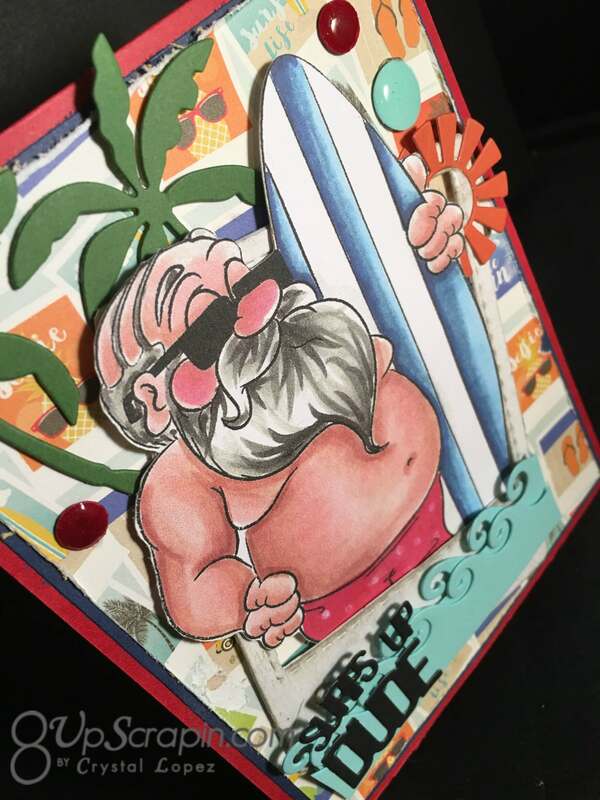 Hello Dr. Digi fans !!! 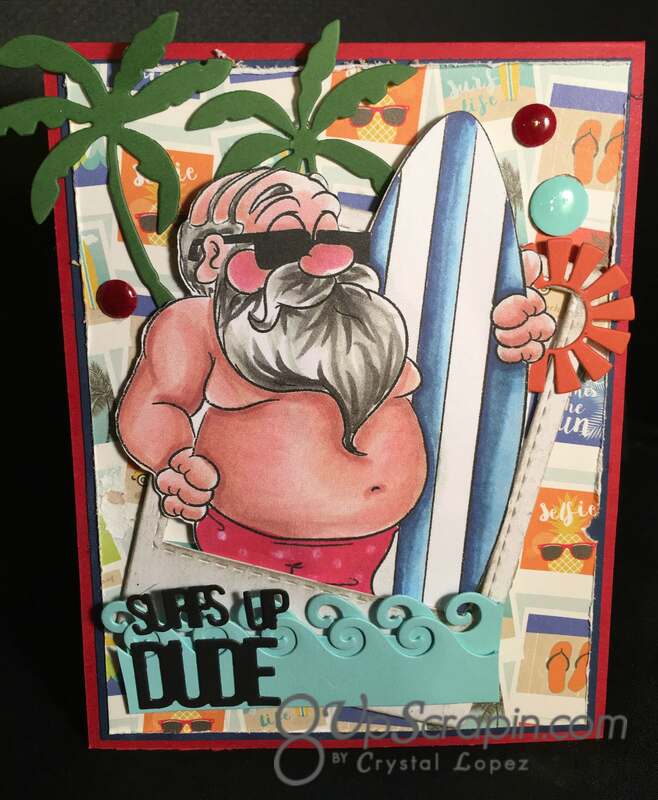 It’s Crystal here and I have a fun Santa Selfie card and I am using the Surfin Santa on my card today , my idea is Santa is on Vacation and took a selfie of himself to mail back to the elves showing he is having a great time on vacation.. 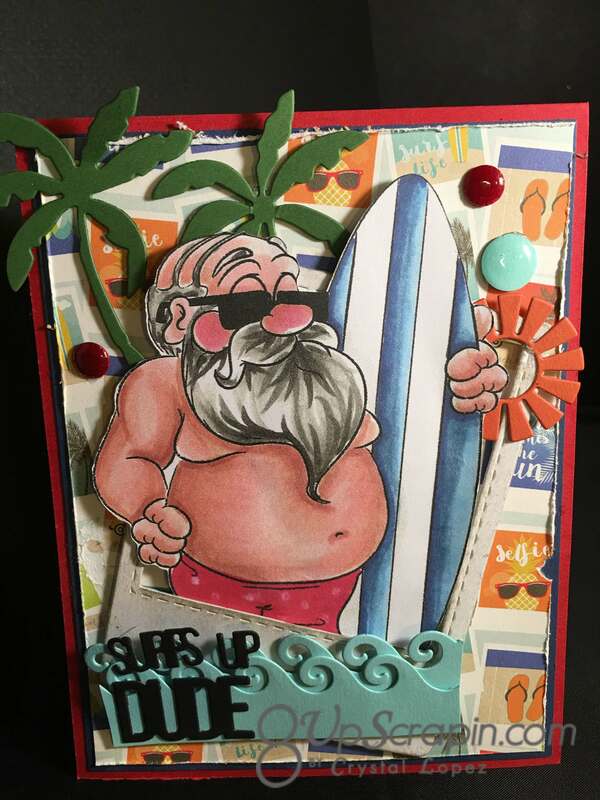 I wish I was at the beach and playing in the surf.. well we have the water thing going on this weekend but not the fun kind..this weekend is to be a total wash out …all rain..oh well ..this too shall pass right ??? 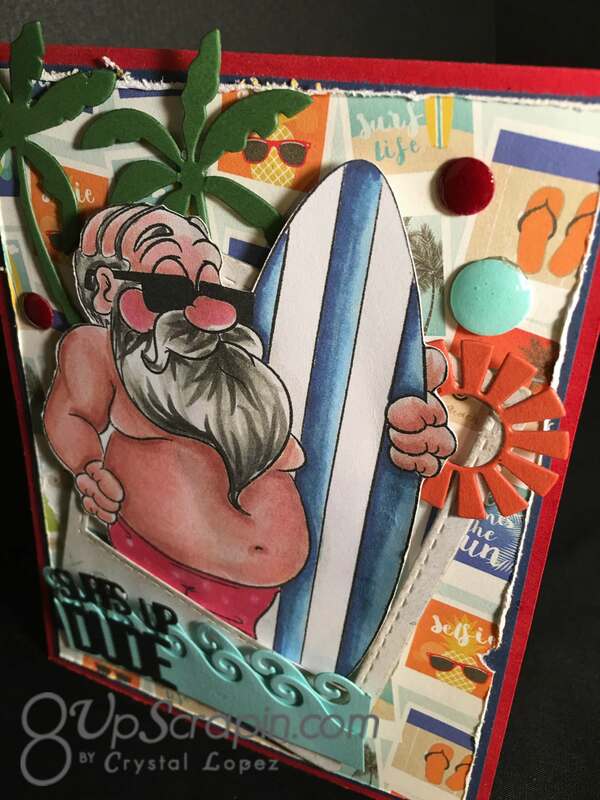 Thanks for stopping in and Summer is on the way and so are beach days , here is to wishing you and Santa a great Summer !! !